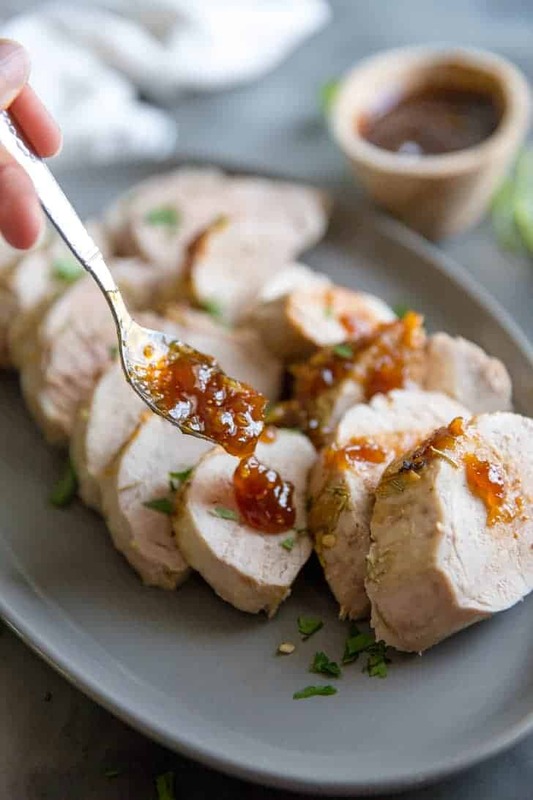 Simple oven roasted pork tenderloin with the loveliest balsamic fig sauce you’ve ever tasted! This easy recipe is great for entertaining but can be served any night of the week! I’m proud to have partnered with Ohio Pork to bring you this post. 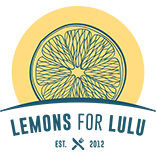 I grew up in a household where dried figs were treated as though they came directly from the gods. My mom would swoon every time she ate one. I never shared her enthusiasm. To me, they always seemed like raisins on steroids. I have a deep disdain for raisins. I dabbled in Fig Newtons, that’s as close as I could come to eating a dried fig. But let’s face it, Fig Newtons are not the same as a chocolate chip cookie. I ate them because there was nothing else around, but they were never my favorite. I never craved a Fig Newton quite like I would crave chocolate. When I was old enough to walk to the quicky mart to buy candy I stopped forcing down those darn Fig Newton’s. Just this year I decided it was time I revisit the good old fig. However, this time I tried it in the form of fig jam. I used it in these little brie cups and fell hard in love. I still think dried figs are gross, but fig jam is a whole other animal. It is so perfectly sweet; like thick honey, but deeper and richer. It is just beautiful. 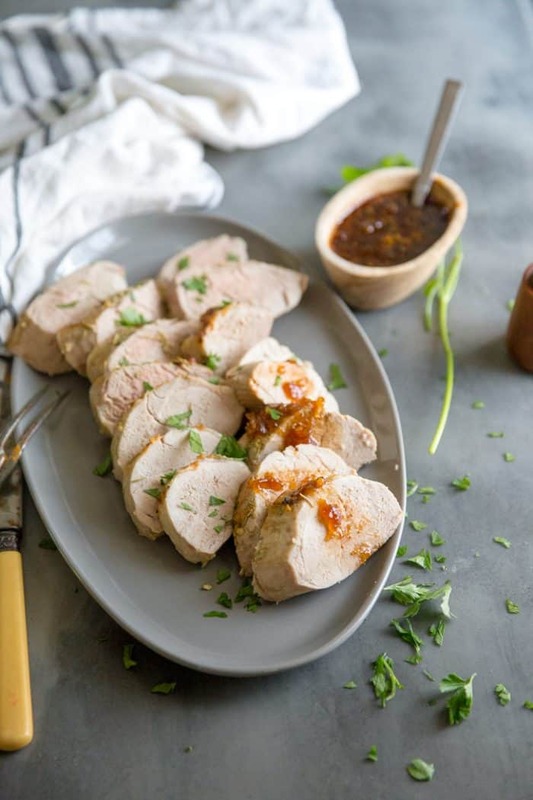 Pork tenderloin is so easy to roast in the oven. It actually doesn’t take long to cook as long as you brown it on the stove top first. This pork only took about 30-40 minutes in total. The lightly seasoned pork was really the perfect vehicle for the tangy/sweet sauce that I’ve created. The sweet fig jam is combined with tangy balsamic vinegar and heat just until it is thin enough to be called a sauce. The flavor combination hits every key taste bud in your mouth. I’m not ready to pop dried figs like popcorn, but I am ready to indulge in fig jam on a daily basis. One day I may actually try a real fresh fig. Want more pork dinner ideas? Try this easy Pork Parmesan Recipe or these Mediterranean Stuffed Pork Chops! 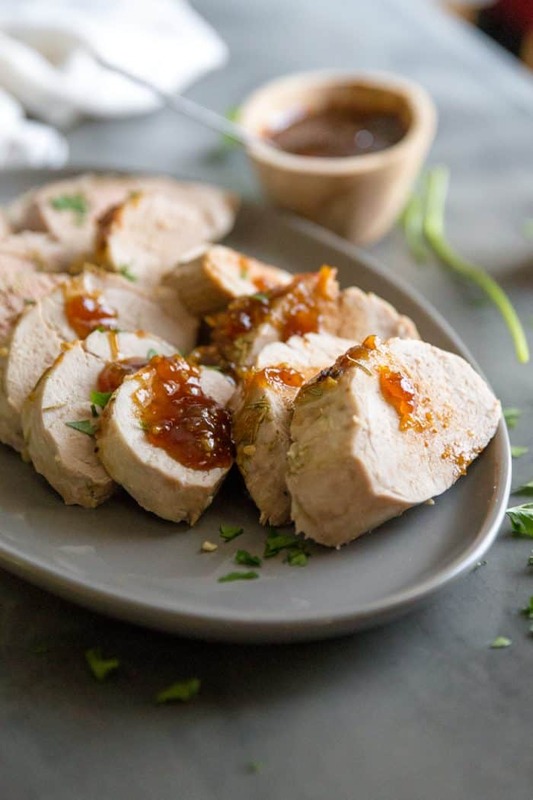 Simple oven roasted pork tenderloin with the loveliest balsamic fig sauce you've ever tasted! This easy recipe is great for entertaining but can be served any night of the week! Sprinkle pork with rosemary, garlic, salt and pepper. Heat a large, oven-safe skillet (I used a cast iron) with olive oil over medium heat. Add pork. Cook pork for 10 minutes, turning halfway to brown each side. Place the skillet in the oven and bake pork in the preheated oven for 30 - 50 minutes or until a meat thermometer registers 145 degrees. Remove pork. Let pork stand for a few minutes before cutting. Meanwhile, add jam to the same skillet. Add vinegar and salt, stir frequently and cook on low heat for 5-8 minutes or until jam has thinned out or until desired consistency. Ha ha to “raisins on steroids”. We had a lot of dried figs in our house growing up too, fresh ones too! 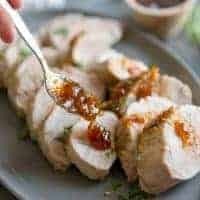 This meal looks really awesome, my family loves pork tenderloin so I know they would love this! I bet this was just delicious! This looks absolutely delicious! I never actually had a fig until I was an adult. They weren’t really too readily available where I grew up. I’m glad I’m not the only delayed fig eater! I may try a fresh one next, how adventurous of me right? I saw this in my Twitter feed before 7a and was immediately in love with that sauce – love this, Tanya! Yummy! I love pork tenderloin! Must try this recipe! Pork tenderloin is one of my favorites. Always like to find tasty new ways to enjoy it! I love pork tenderloin too! Good thing it’s so easy to make! Love the sound of the sauce! Perfect flavor for pork! I was just telling my mom that I don’t know how to cook pork tenderloin and the your beautiful recipe popped up! I’m obsessed with figs (even in dried form) and fig jam sauce on top sounds AMAZING. Thanks for the recipe! Delicious! Whole family loves this sauce. Thank you! I’m so happy to hear that! Who doesn’t love fig jam? Did not have regular balsamic on hand…..used cherry balsamic…. Yuuuuummmm! I bet that tasted so good! I never have cherry balsamic, but I may buy some just for this recipe. If I can find fresh figs, I’ll try them! Somehow you’ve managed to combine a handful of my favorite flavors into this single and utterly mouthwatering dinner recipe. 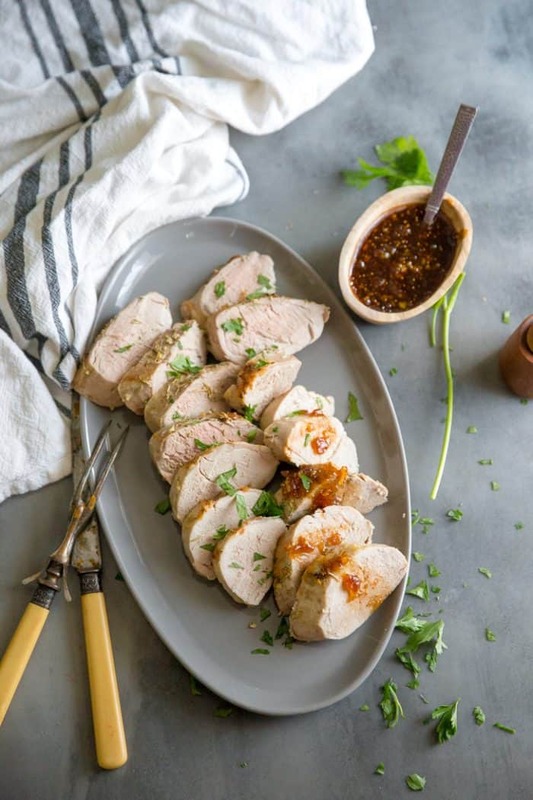 I can’t wait to try this pork tenderloin! I am in love with fig jam, so I am so excited to see a recipe that uses this, I am trying this asap! That balsamic fig sauce sounds amazing!!! Gorgeous photos too! This was fabulous and the leftovers were even better! I used a locally available commercial sauce with vidalia onion and balsamic vinegar . OMG! Will do this whenever I want to impress company. I think using a tenderloin is key. That sauce sounds amazing!! Thank you for sharing!